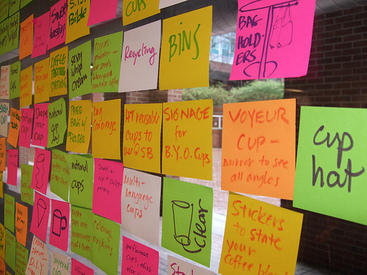 Recently, I had the pleasure of facilitating a two-day human-centered design workshop with Meredith Davis and her graduate students at North Carolina State University's College of Design. Energy and insights generated were impressive and inspiring. Thanks to all who contributed a post-it concept or two and for the opportunity to join you for what I hope you agree was an engaging couple of days. For more photo coverage visit here. "We have to teach smart. We have to look at trends whose trajectories are likely to define practice for students across a fifty-year career. We have to challenge traditional paradigms of design education and invent new ones. We have to integrate content across courses and scaffold experiences so that students don’t start over with every project or every course. Not all new content requires its own turf. And we have to value the reflective component of design as much as we do the active one. There are some great models for doing this and where they are successful, life is less frenetic; students are engaged in producing a body of work, in understanding big ideas that are at the core of the discipline and the practice. In other words, they behave like students, not trainees, and their output and mastery build across time, not in some last minute rush to the finish. " 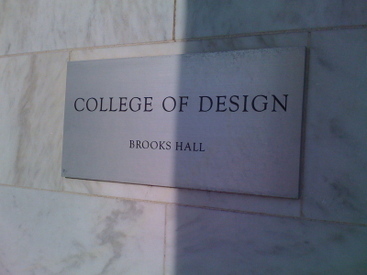 Danny Stillion, author of the designbivouac blog, attended the graduate program of this university. He has been leading and actively participating in interaction design at IDEO since 1996. Graham Hicks attended this university. Dan Boyarski leads the interaction design program there. This program is known for educating students that are strong in visual, media and interactive installations areas.